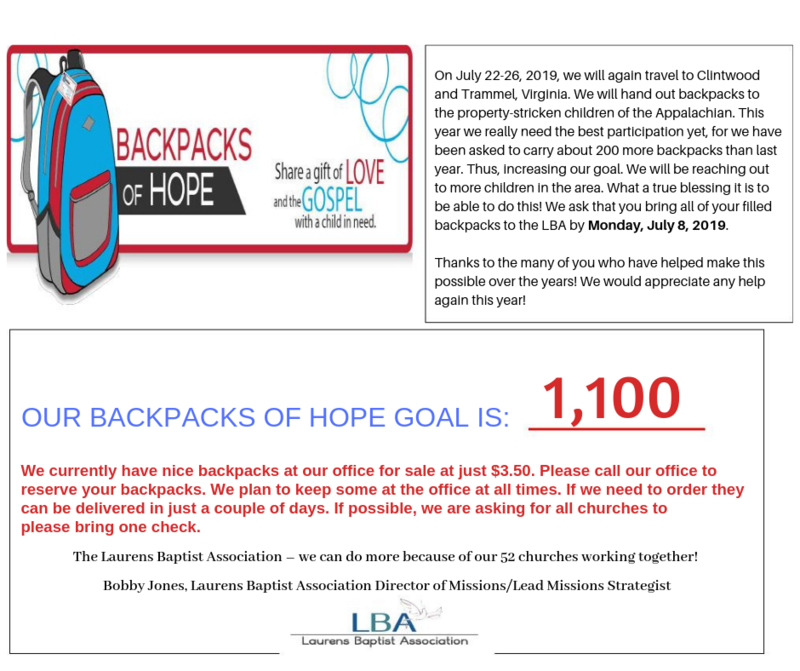 We’re asking everyone to please us reach our goal of 1,100 backpacks for Appalachian Children this year. We have been asked to bring more than we did last year. SO, WE NEED EVERYONE’S HELP! We will leave July 22 to carry the backpacks to the children.